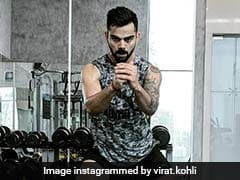 Virat Kohli workout video: Have you ever wondered what makes Virat Kohli super fit? Well! Strenuous workout sessions, strict diet and consistency is what makes him super fit and a fine cricketer. Take a look! Virat Kohli workout video: Not just passionate about cricket Virat Kohli is a fitness freak as well. The captain of the Indian cricket team Virat Kohli has brought many laurels for the country. Whenever, we talk about his game on the field, we should always talk about the efforts that go into it. It is not just his strong game but also a super fit body behind those centuries. Have you ever wondered what makes Virat Kohli super fit? Well! Strenuous workout sessions, strict diet and consistency is what makes him super fit and a fine cricketer. Not just passionate about cricket the skipper is a fitness freak as well. This can be well seen from his Instagaram account. In the recent post also, Virat Kohli was seen sweating it out in the gym. His post said, "Train hard, go the extra mile and believe in yourself." Happy Birthday Virat Kohli : Virat Kohli's power-packed performances in all three formats of cricket and numerous records in the game is worth applauding. 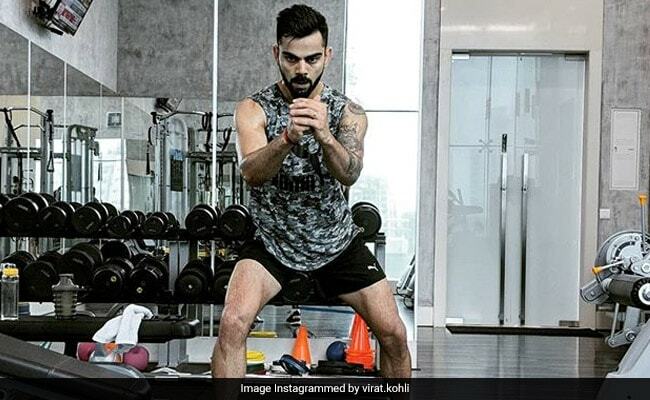 Virat Kohli's Morning Workout Is The Ultimate Fitness Inspiration You Need! Due to his neck injury, Virat Kohli has been forbidden weight lifting for the time-being; so he decided to work on his lower body. 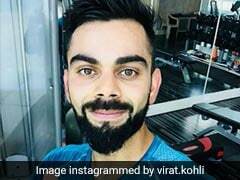 The cricketer took to Instagram to share few glimpses of his workout this morning. Virat Kohli was performing the front squats with weights. Celebrity trainer Vinod Channa who trains many Bollywood celebrities like Shilpa Shetty Kundra, John Abraham, Ritesh Deshmukh, Shamita Shetty and many others said, front squats is the best exercise for people suffering from back stiffness or pain. It focuses more on the quadriceps and core. So you can avoid more load on the lower back and use more of abdominal muscle to lift weight. Therefore, you can perform squats even though you have back pain or stiffness. "You can build a good lower body by doing squats which is very beneficial work for overall development of fitness and fat loss," adds Vinod Channa. Also read: Virat Kohli's Morning Workout Is The Ultimate Fitness Inspiration You Need! Front squat is performed when the athlete holds the barbell in the front rack position, resting the tool on the shoulders with elbows up and squats down. Athletes also have to keep their torso upright in order to keep the bar over their mid-foot and stop it from rolling off of the shoulders as they perform the exercise. This is compound exercise that offers several health benefits like enhanced core strength, improved flexibility, powerful thighs, a strong lower back, firm abdominal muscles and flat abs. The best part about this exercise is that it can be performed with the barbell resting across the back of your shoulders, or with a set of dumbbells for variation. This exercise requires a lot of strength to carry the weight and great mobility in order to coordinate it through the full range of motion. Front squats are as effective as back squats to deal with knee problems such as meniscus tears and for long-term joint health. Front squats also help to improve your flexibility. Front squats is a resistance exercise that works on several muscle groups. It builds a strong core by working on the abdominal muscles and reinforced lower back. A strong core will help you with balance, stability and a good posture.